Stockton, IL – Spahn & Rose Lumber Co. in Stockton was established in 1926. Nestled away just at the south end of Downtown Stockton is a homeowners paradise. When you step into Stockton Spahn & Rose it is like a breath of fresh air. 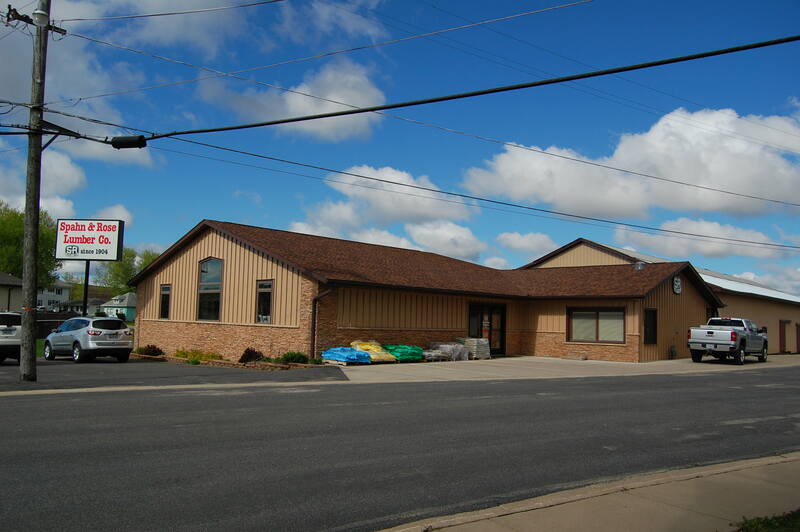 The newly renovated showroom with its vaulted ceilings and open floor plan have all sorts of space to find exactly what you need for your project. In our kitchen & vanity displays you will find a variety of styles and finishes showing you options from our Shiloh, Aspect & Mid Continent lines. Along with that we have the Organized Living FreedomRail Closet, Pantry or Garage organizing system. Plus we have a corner featuring an Onyx Collection shower. 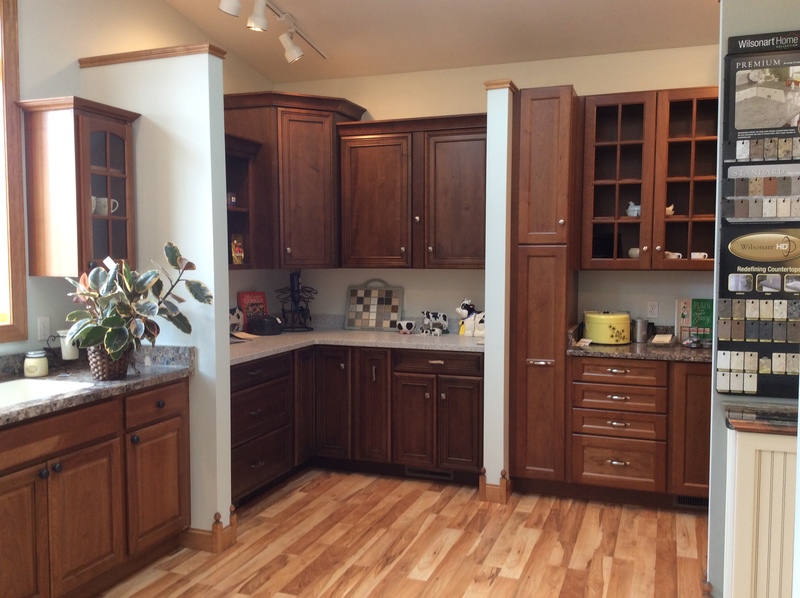 Next stroll over to our Waudena Entry and Larson Storm Door display where you can see and try several door options. From there you can enjoy a look at our LP SmartSide in an array of finishes. Next walk through the Marvin Integrity sliding door or try out a window or two. A large Badger interior door display awaits you with a plethora of styles and finishes. Moving on you will find some other windows options, such as Simonton and Hayfield. 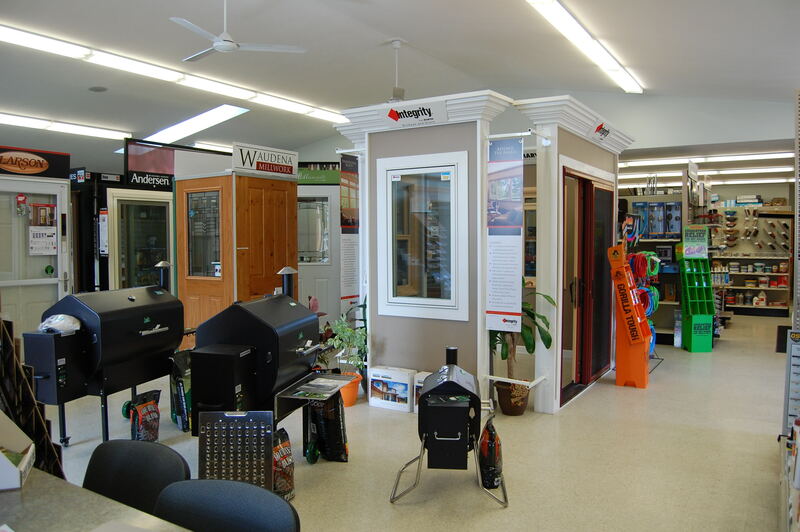 Then you can try out some Anderson windows and an amazing sliding door. 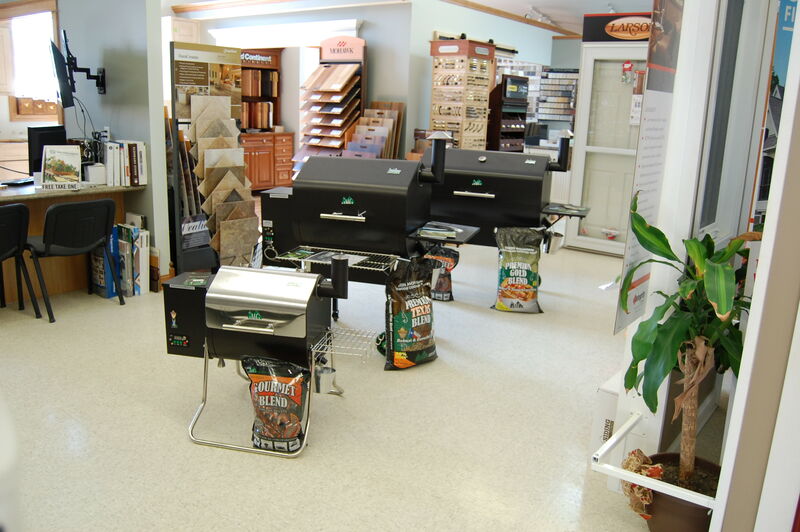 Be sure to check out the AFCO, Fairway & Regal exterior railing display to go with our Trex & Fiberon Decking you saw as you entered the showroom. Our back wall is lined with Certainteed shingle and siding color options. Just when you thought you had seen everything, you will find a store that contains many of your household fix-it needs. Our Valspar paint department with its color match system allows us to create that color you have been trying to find. 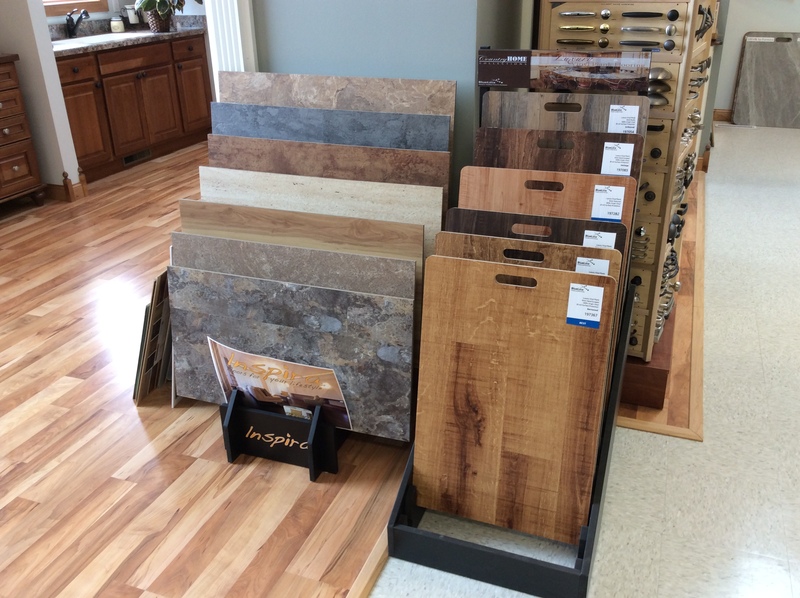 We have flooring coverings to meet all your needs, Mohawk hardwood and Vinyl plank flooring plus Shaw carpet and Coliseum ceramic tile. 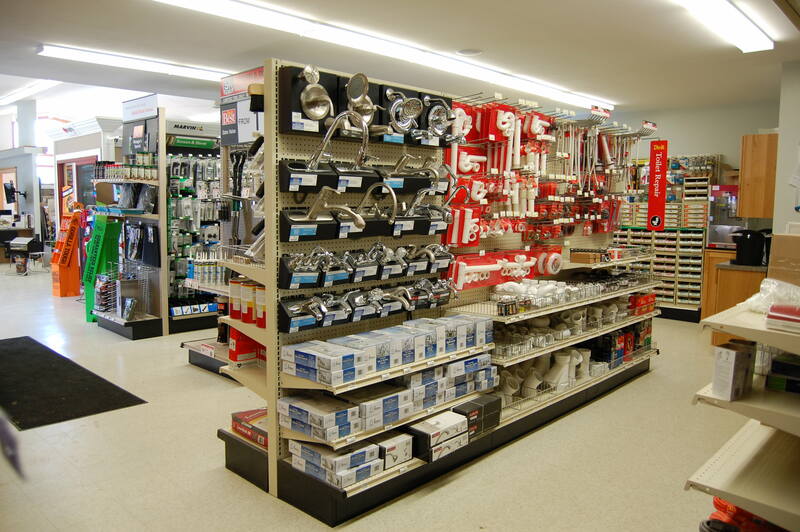 Our hardware section carries a variety of hinges, hooks, latches, handles and so much more. Don’t forget to stop in for your caulking, sanding, drywall and masonry needs. We have also added the Prova bathroom waterproofing systems. If you are after a tool, bit or blade you have come to the right spot. 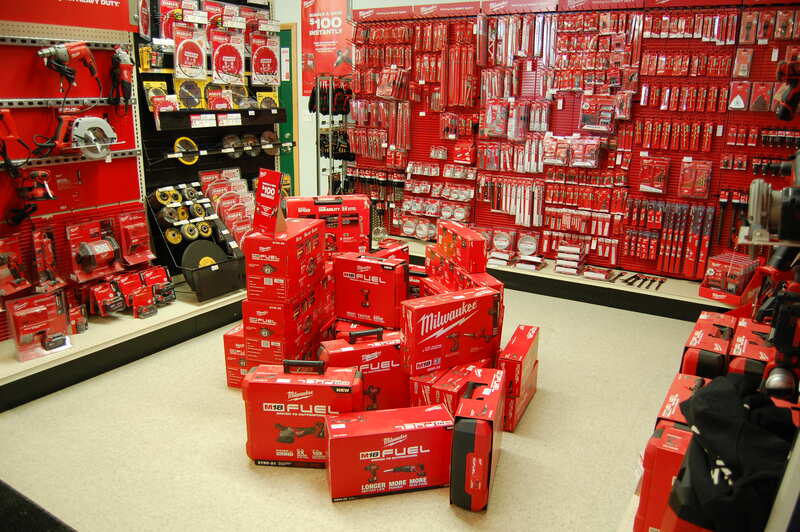 Our Milwaukee products have been a great addition to our store. 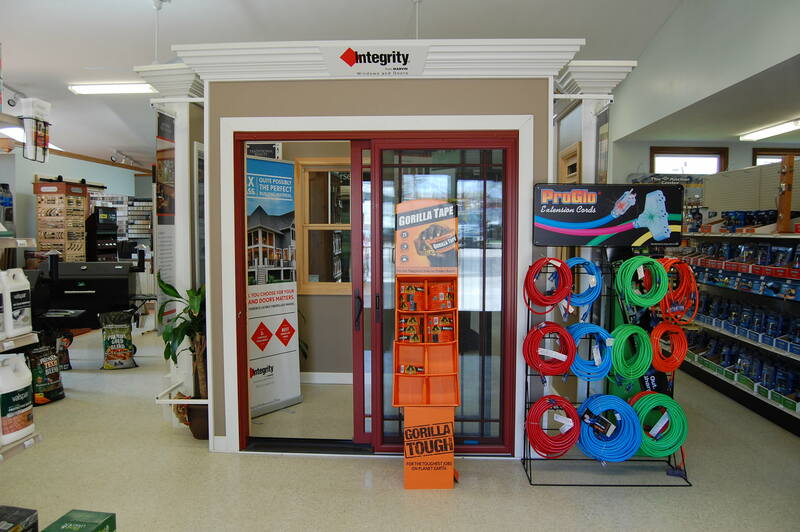 Once you are done inside the store you can step out into the yard and find just about anything you need for your home building project. Stop in and see us the next time you are out running errands. We would love to help you make your home dreams a reality. We are now a Schluter Official Dealer! Congrats Mark, Above & Beyond June Winner! Congrats Mick, Above & Beyond November Winner!